A few basic movements can elevate your fitness tremendously. 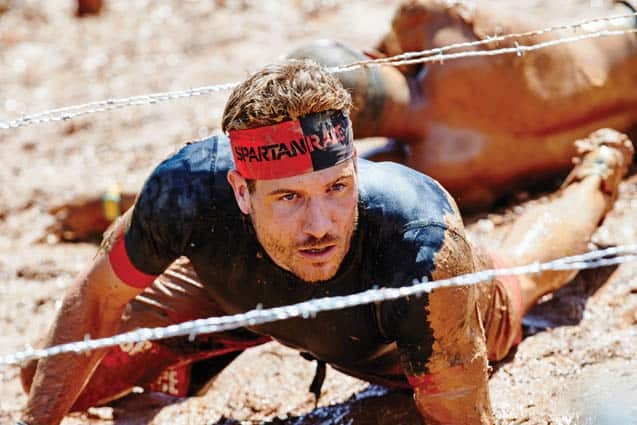 With these you can build a solid foundation with which to finish a Spartan Race. Jeff Godin, Ph.D., CSCS, SGX, and a Spartan group training and certified coach designed workouts like this so you can assemble the building blocks of your fitness base. Instead he recommends active warm-ups that progresses from low intensity towards high intensity. “The benefits of a warm-up include: increased tissue temperature, tissue compliance, energy metabolism, movement efficiency and reduced tissue stiffness. The warm-up can also be used to reinforce fundamental movement mechanics related to speed and agility,” he said. As a general rule, he says, perform one set of each movement at a slow speed for 20 yards and then perform a second set at a faster speed. Stationary movements should be performed for 15 repetitions. Repeat main set if needed. Always stretch to cool down once your workout is complete. “You are free to earn your fitness, and with it your earn your ability to achieve all that it allows you to accomplish. All you need is running and burpees, the rest is up to you. Try to go for 2-3 hours. Bring water, and a snack,” the Spartan WOD team suggests.